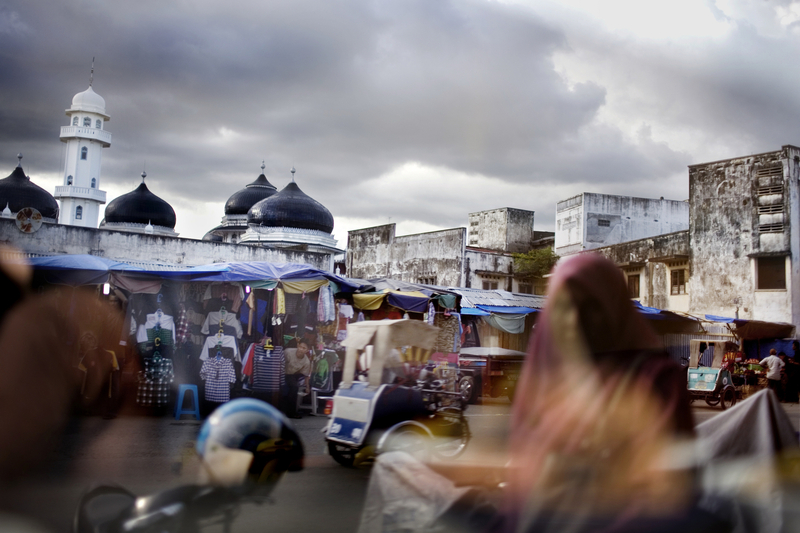 The Grand Mosque survived the 2005 tsunami but the adjacent building suffered major damages, at Pasar Aceh, or the Aceh Market, in Banda Aceh, Indonesia, Thursday, Nov. 19, 2009. On Dec. 26, 2004, a 9.0 magnitude earthquake triggered a massive tsunami that killed 226,000 people throughout several countries. In Aceh, the death toll alone was 166,000. In 2003, the provincial government of Aceh Province implemented a moderate form of sharia law on conduct and dress in their effort to reclaim Aceh as the Islamic capital of SE Asia.